Ten years since directing my last feature, my production partner (a.k.a. host of this blog) and I are gearing up to do it again. This time the subject matter and the format are completely different. My first film, “American Chain Gang,” a documentary profiling the experiences of the inmates and prisoners of this country’s forced chain gang labor camps, sought to examine this human rights issue and humanize it. By following the inmates before, during, and after their release from these programs, we focused on the impact these policies had on the people they were designed to reform. 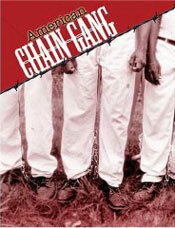 We were fortunate that “American Chain Gang” enjoyed great success screening in several international festivals, winning awards, airing on European and North American Television and becoming available on DVD in the United States. This time we’ve set out to make our first feature-length fiction film, a psychological thriller called “Nothing Without You.” The story, full of twists and designed to keep the audience guessing, centers on the experiences of a mentally ill woman accused of a brutal murder. We are excited to announce that pending financing, we will be shooting the film in New York early next year. It’s taken years of hard work to get to this point, requiring a devotion of time, money and energy. As we approach casting agents and management companies for actors and production companies and financiers for the rest of our budget, we get to the top of the proverbial roller-coaster ride. For those of you who plan on making the dream of your first feature film a reality, here are some bits of advice I can share based on my experience. + Watch other movies. Watch as many movies as you can and watch them critically. Also view films that have similar qualities as the one you want to make asking yourself the following questions. Where is the camera placed during the shot? What lens are they using? How did the writer make the story believable? How are the actors blocked? How is music being used to evoke emotion? How are these shots arranged to create the scene? How can I use these lessons and make them work in my film? How can I make my film better? + Take your time writing your script. Unlike documentary filmmaking, where your story is made in the edit room, your script should be a blueprint of a film with a solid structure, believable characters and clear dialogue. Research, outline, write and rewrite. Don’t feel like the time it takes to write the script is getting in the way of making your film – you’re making your film now; writing is one of the most essential phases of filmmaking. + Gather your resources. Preparing a film takes time. Use this to your advantage. Create a savings account and become your first Executive Producer. Find your locations and try to find a way to get them inexpensively or for free. Take digital stills of your scenes and use them as storyboards. Find a restaurant that will give you a discount on meals for your cast and crew in exchange for a credit in the film. + Get the right production crew. You will trust these people to help produce your dream. You need a skilled, motivated and loyal group of people that will help you through a very difficult process. Sometimes if someone lacks experience they can make up for in energy and enthusiasm. But you can also benefit greatly from at least one key person on the crew that has gone through this more than once. + Get the right people in front of the camera. A good story with the wrong actors can be a disaster. When you can, work with experienced, professional actors, when you can’t make sure you find a way to get the performance you need. You don’t always need to find the most talented actor for your role, but you must find the right actor. + Prepare yourself mentally and physically. Read as many books on film production as you can get your hands on. Prepare a detailed breakdown of what, who, where and how long everything is in every scene in your film. This will be a grueling time that will take your best efforts. As David Mamet said of film production, ‘good luck is the residue of good planning.’ Also don’t underestimate the physical toll the stress will have on your body. Make sure you exercise and eat right before and during the production. It’s a marathon – train for it. Filmmaking isn’t easy, but you have to start some time. Equipment has become inexpensive enough to bring the process of filmmaking within most budding filmmaker’s reach. Whether your budget’s large or small, there’s no reason not to make your movie. Even though it hurts, there’s no better feeling than making your film. Xackery Irving [IMDB info] is a graduate of New York University’s Tisch School of the Arts School of Film and Television and producer of over seventy-five hours of television documentaries. For more information on “Nothing Without You” visit ChainGangPictures.com. To purchase his first film “American Chain Gang”, visit Amazon.com , Target.com, and TurnerClassicMovies.com. You can also rent it at Netflix.com and Blockbuster.com.